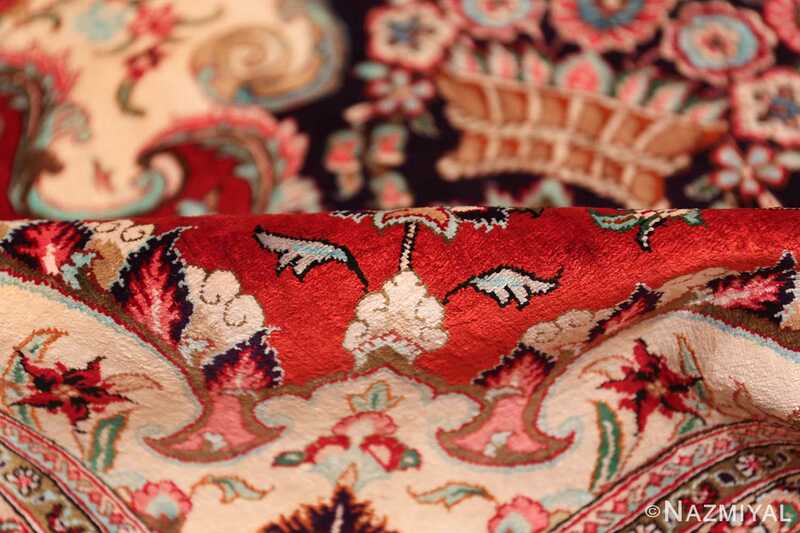 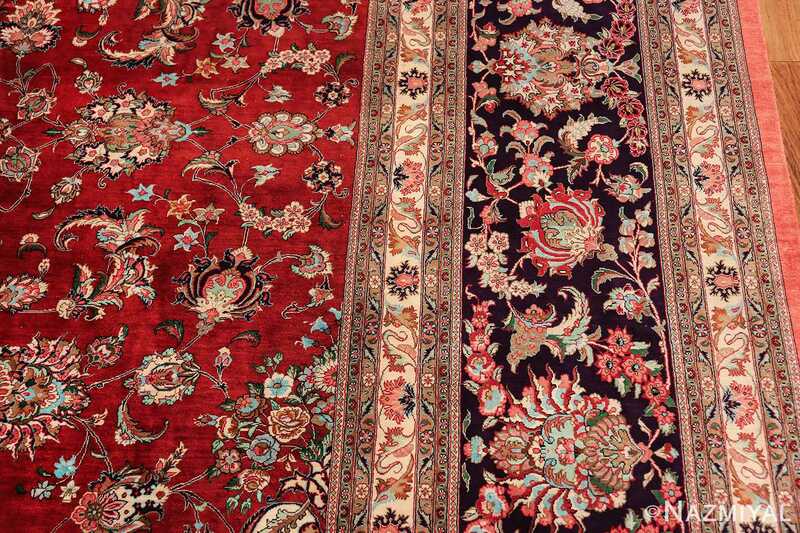 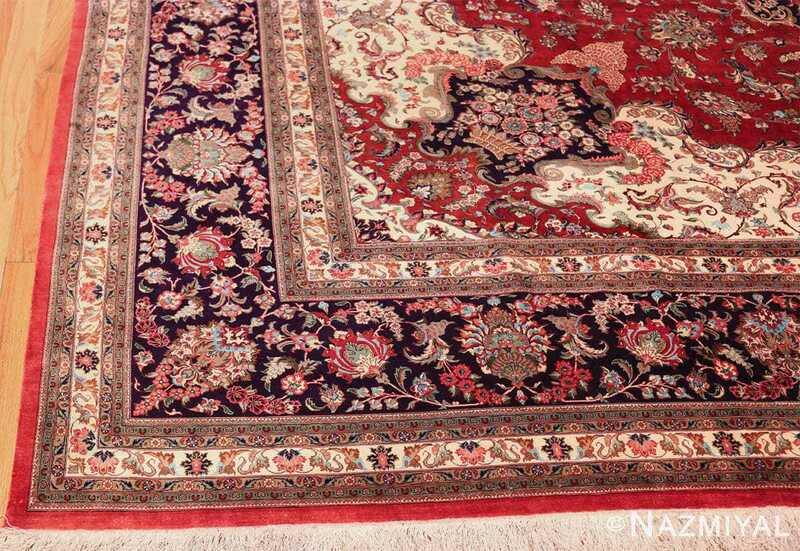 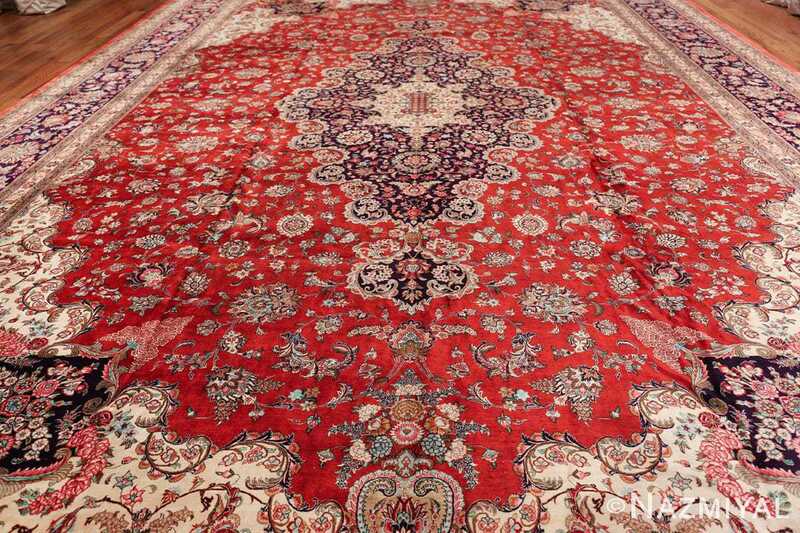 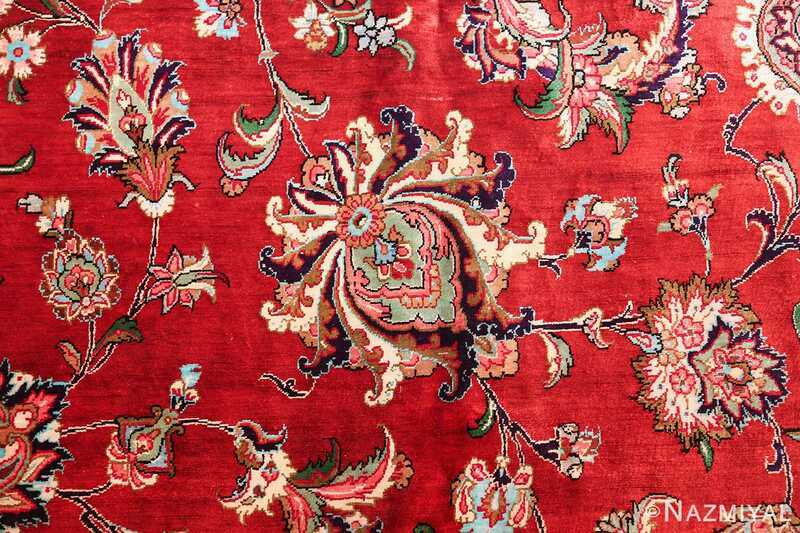 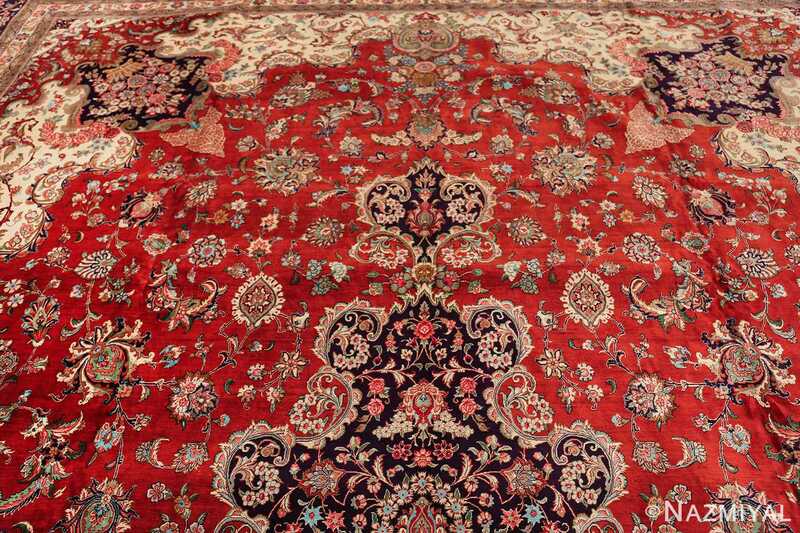 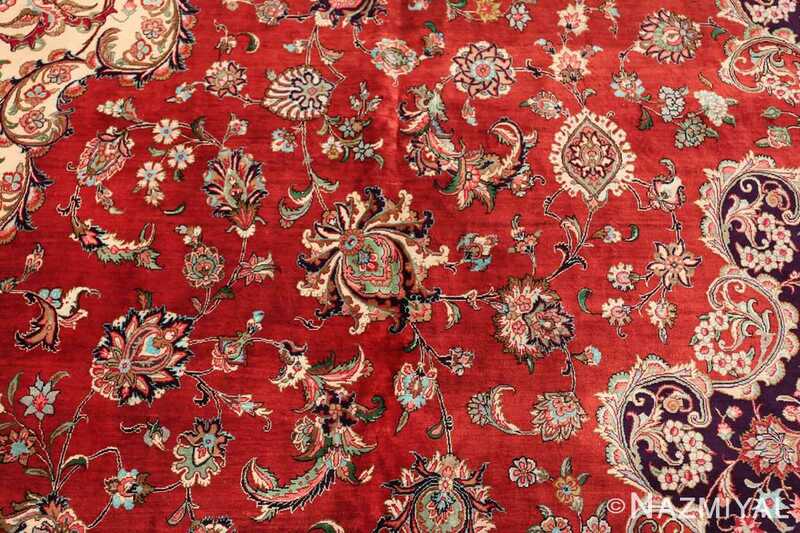 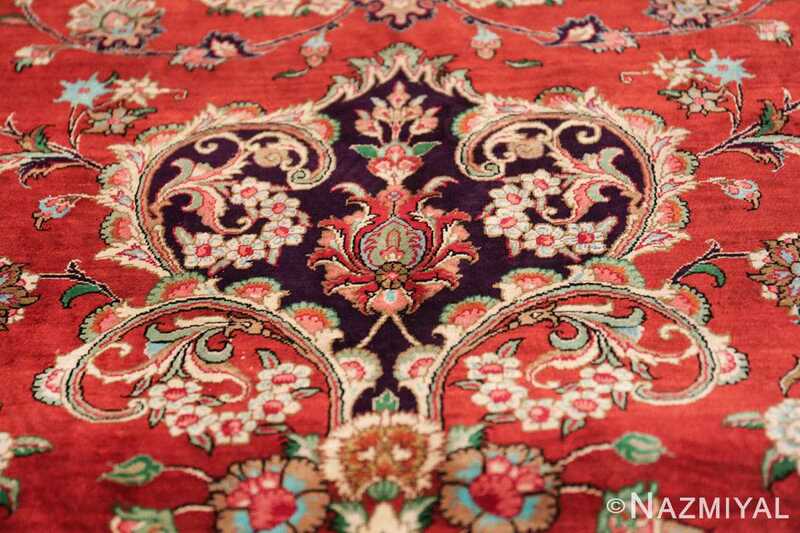 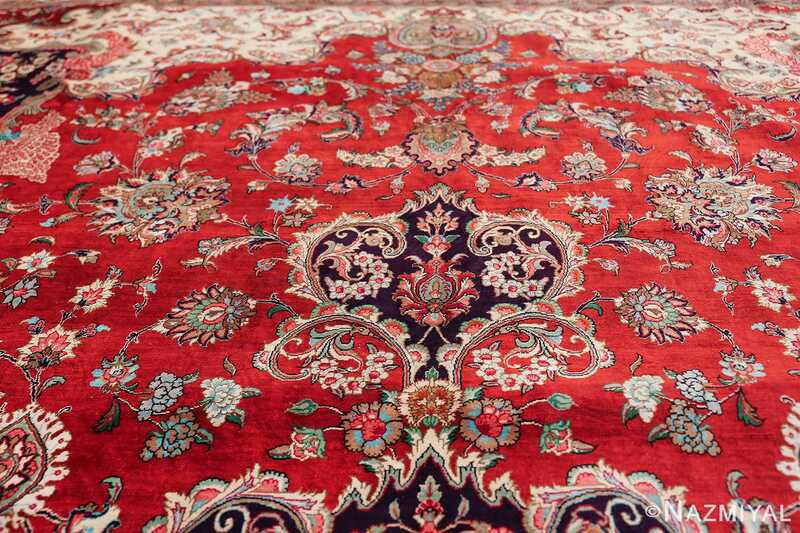 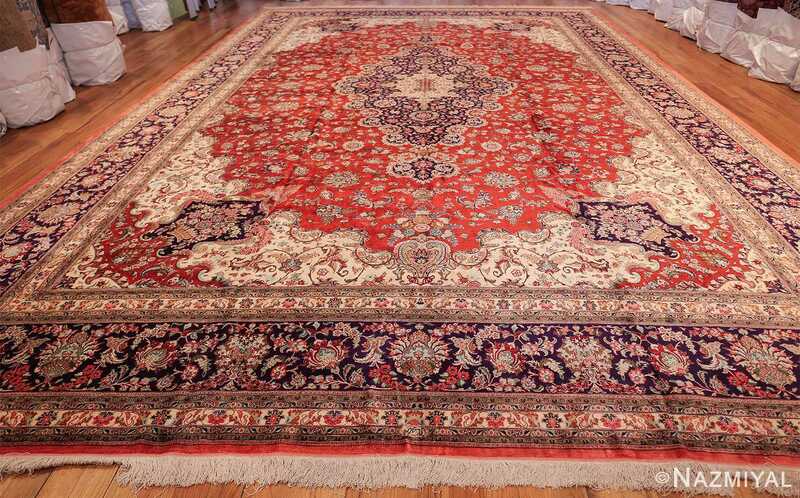 Breathtaking And Exciting Large Floral Vintage Persian Silk Qum Rug, Country of Origin / Rug Type: Vintage Persian Rug, Circa Date: Late 20th Century – The happy rich and brilliant red carpet color seems to almost be bursting out of this vintage Persian silk Qum rug. 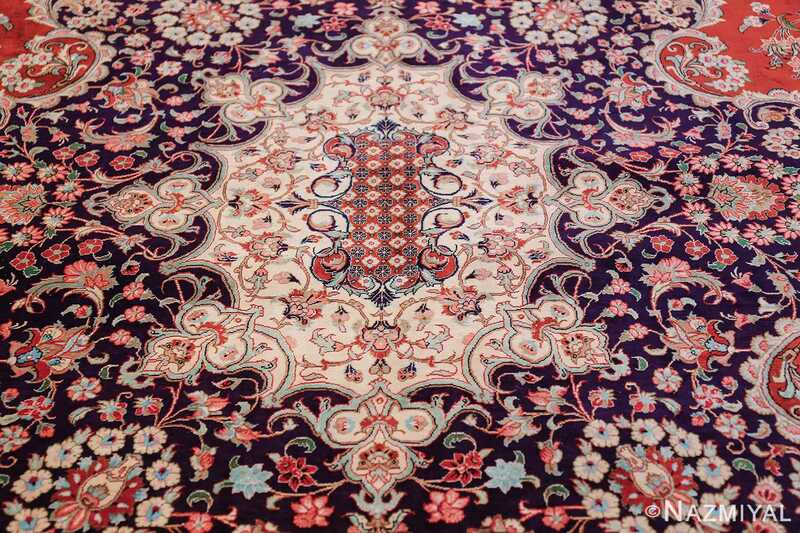 The core of the central medallion of this magnificent vintage Persian rug is a pale centerpiece with eight evenly spaced smaller emblems reaching out into the depths of the darker blue colored background. 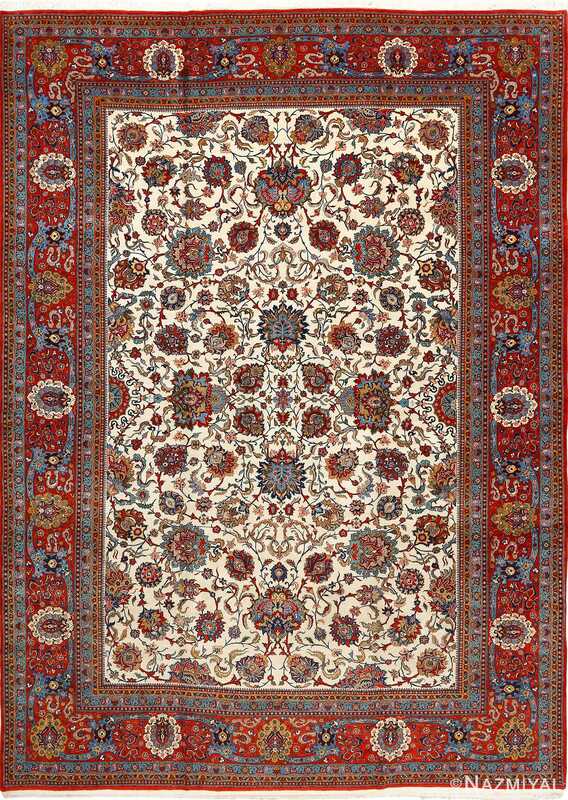 Within the inner background of this vintage Persian silk rug we see a plethora of tiny, delicate flowers of varying shades of coral and blue. 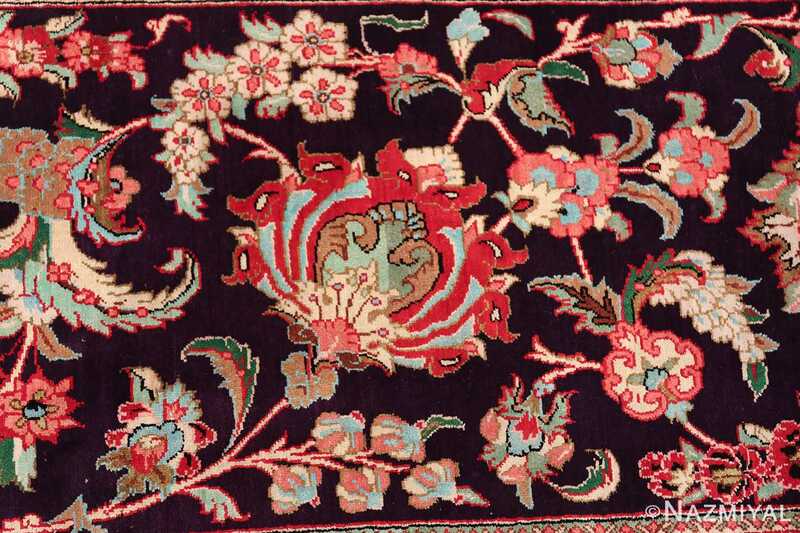 An interconnected network of tendrils and wisps of stems connect each individual flower together in a subtle delicacy. Shades of mint and spring greens are sprinkled throughout the floral patterns, highlighting each bouquet. 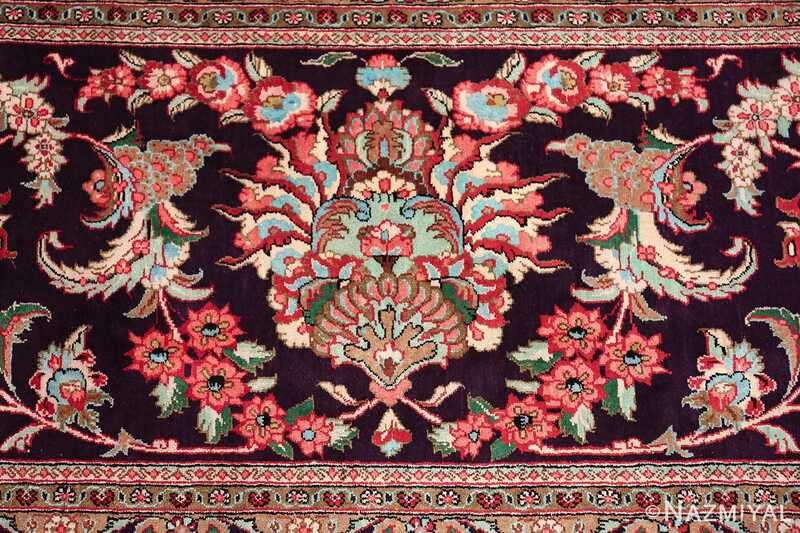 The dark navy blue colored background of the silk rug’s border is flanked on both sides by twin cream colored narrower guard borders. 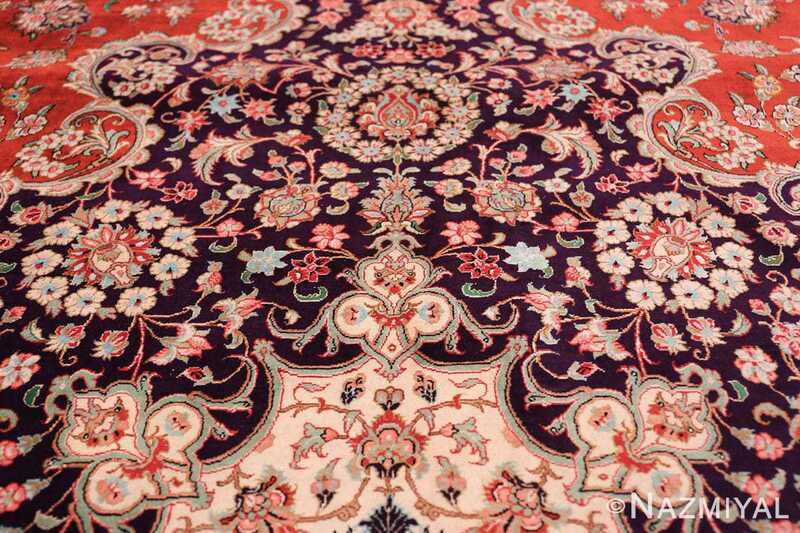 The seven distinct warm and more neutral colored guard border patterns mirror each other as they approach the center. 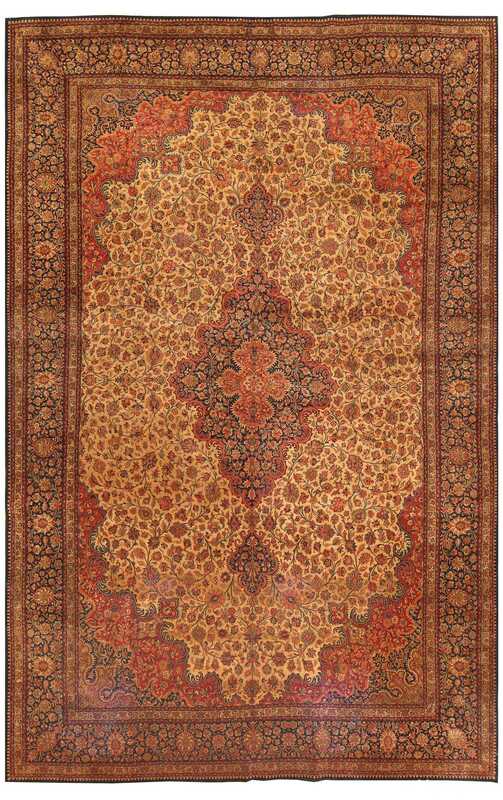 This approach to symmetrical design is one of the main themes of this magnificently luxurious silk rug. 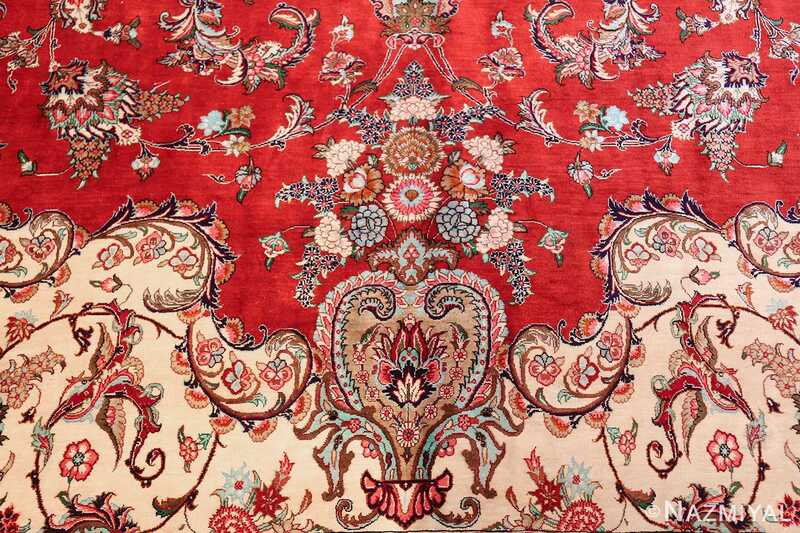 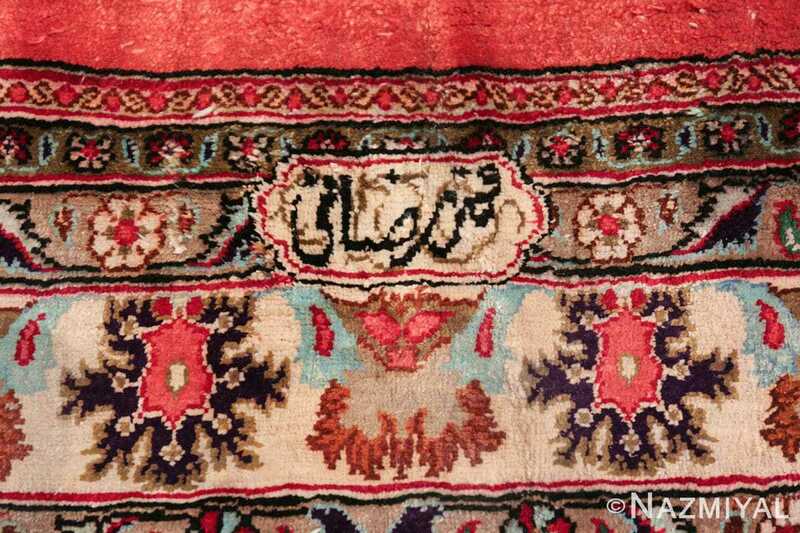 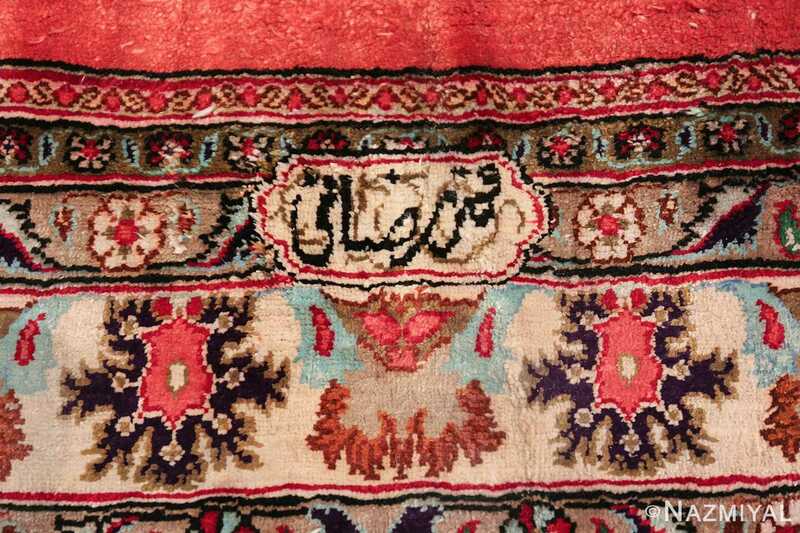 This level of attention to detail of this spectacular vintage Persian silk Qum rug, enriches the overall complexity and beauty of the vintage rug. 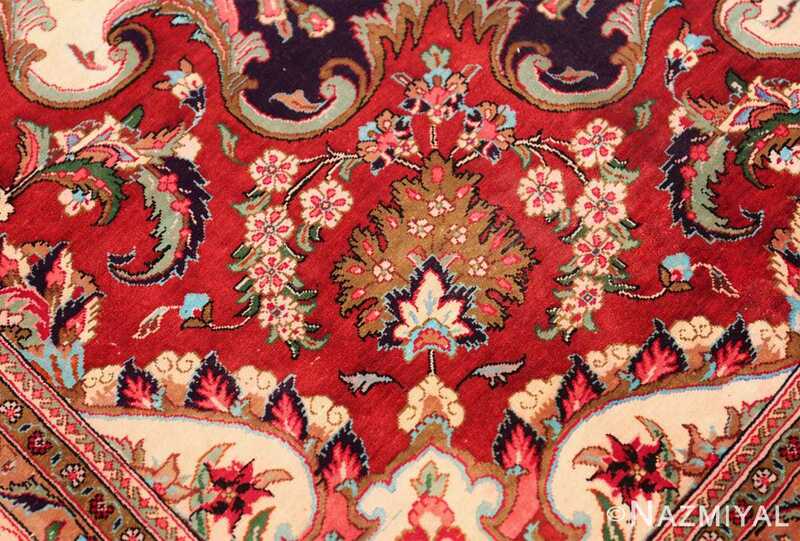 The last border is a faint reflection of the inner brilliant red, thinly framing the entire Persian rug. 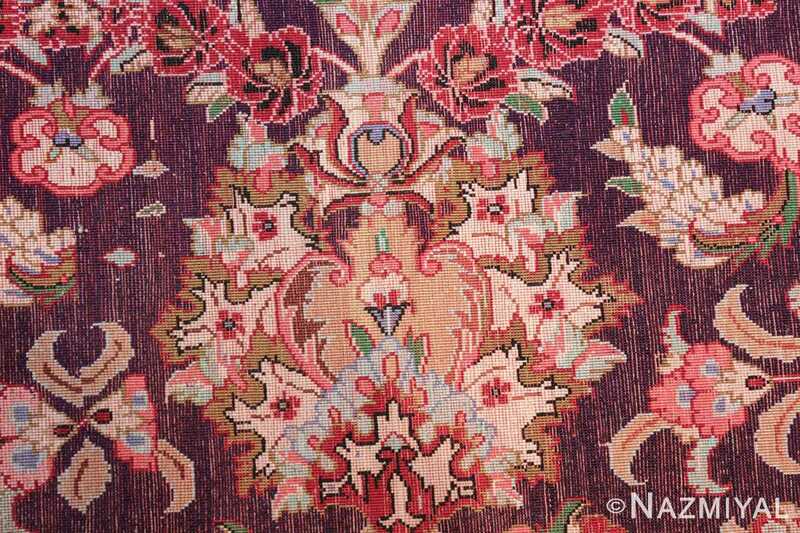 As the floral patterns in this large size rug cannot be easily distinguished as any specific species of flower. The motifs lend a sense of creativity and exoticism to the overall emotion that this luxurious rug invokes in the viewer. 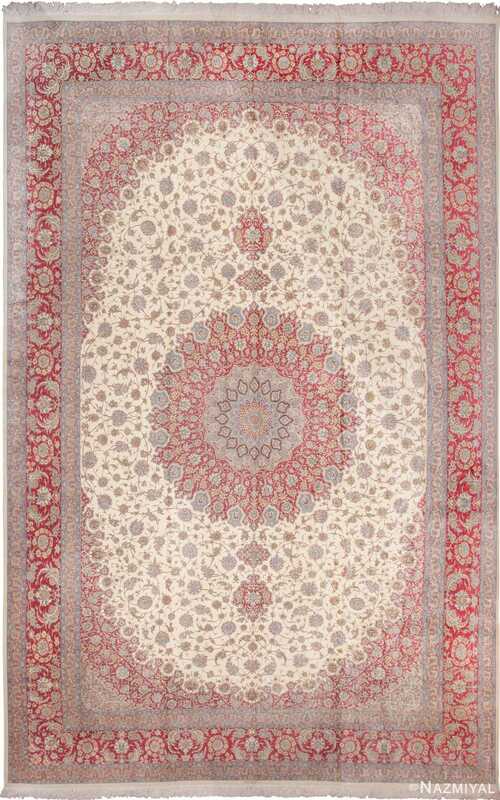 This rug is balance between the rectangular frames and the imaginary flora that inhabits its structures. This rug is bursting with energy, color and artistic splendor. 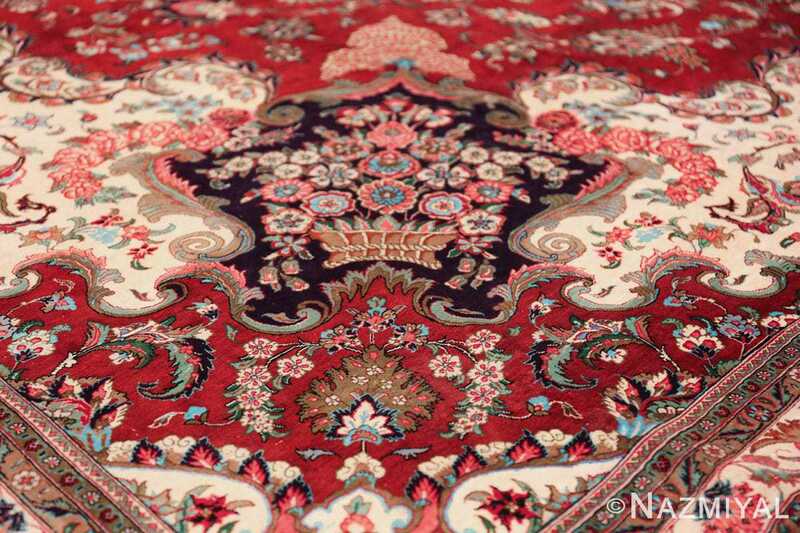 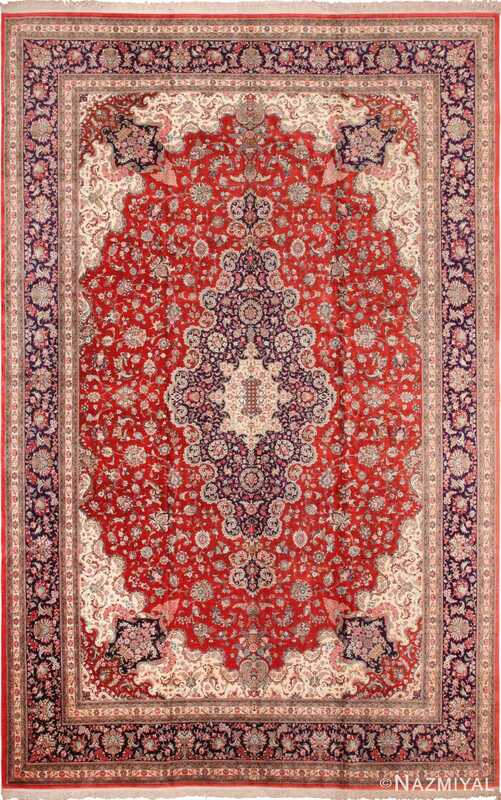 If you are looking for a showstopper to anchor your interior design, then this large floral vintage Persian silk Qum rug is going to be hard to beat.